More than 7,000,000 musicians are now using the Tuner by Piascore! "Tuner Lite by Piascore" is a chromatic instrument tuner and pitch pipe that allows you to quickly and accurately tune your instrument using the built-in mic in your iPhone or iPad. "Tuner Lite by Piascore" can tune acoustic or electric guitar, bass, bowed strings, woodwinds, brass, piano, tympani, and any other instrument that can sustain a tone. Full version (paid) is offered. supports a custom temperaments, transposition, notations such as solfÃ¨ge, adjustable calibration and more. 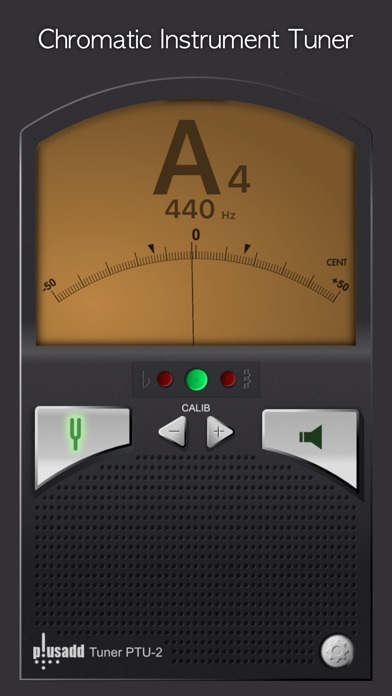 By spectrum power indicator, you can understand sound more intuitively.